Your socks should match but the wood furniture in your rooms doesn’t have to. Liberate yourself. It’s no longer taboo to have wood furniture in the same room with different color wood tones. It’s even OK if the finishes don’t match the flooring wood. Mismatched wood furniture has become a refreshing alternative to the matchy-matchy rules of the past. But wait. This doesn’t mean you can fill a room with any combination of furniture that meets your fancy. There’s somewhat of a formula to combining woods in a way that beautifully unifies the furniture in any room: It calls for contrast, refine, and balance. Keep these 10 guidelines in mind to create a flawless furniture mix. 1.You might feel tempted to match woods that are close in color to each other. Don’t. Try to find tones that have a greater contrast, and they’ll complement each other so much better. 2. 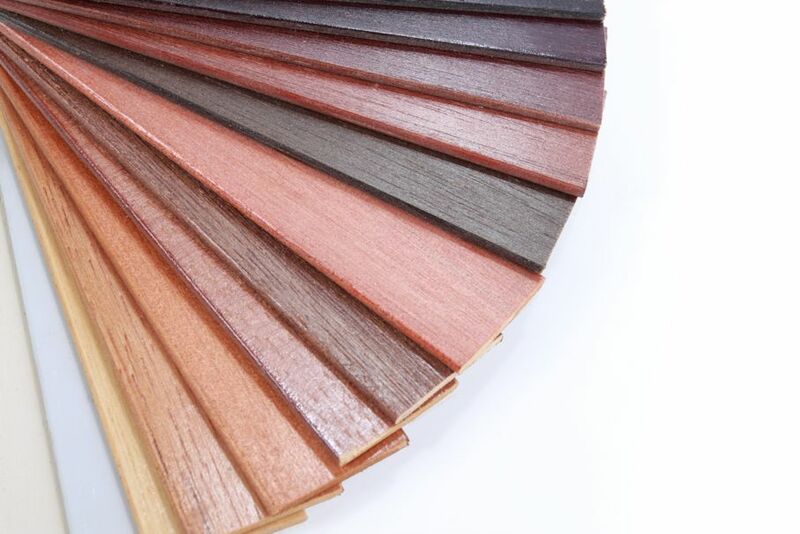 Buy a Finisher’s Color Wheel to take some of the guesswork out of selecting wood tones that complement each other. It looks like the color wheel you remember from art class, but it displays common wood finishes. You can turn the inner wheels to match up tones, giving you a preview of how the colors will look next to each other. 3. One important contrast to have is between the wood flooring and the furniture on top of it. If the tone of your wood floors matches the furniture, use an area rug. 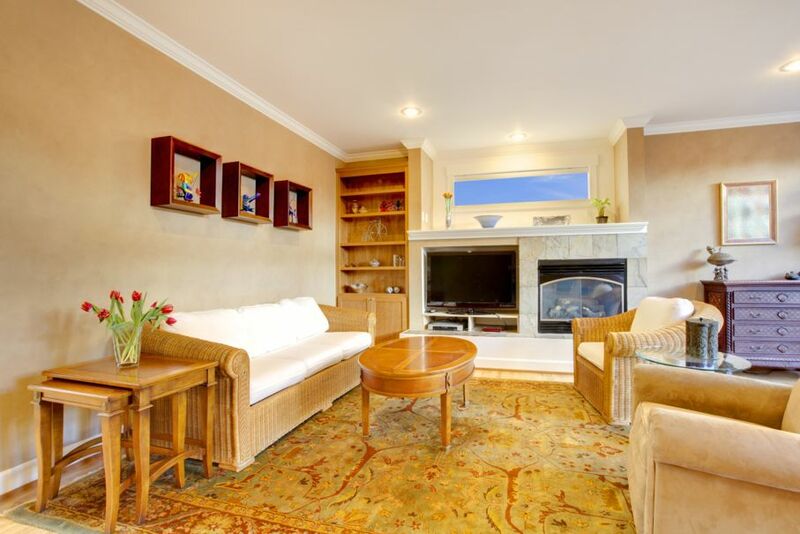 Aside from adding another decorative element to the room, a rug can break up the monotony or soften any jarring contrasts between the flooring and furniture. 4. Select a core piece of furniture to be the reference point for your wood selections. Choose one of the larger items in the room, and add one or two colors to the mix that complement the core’s wood tone. 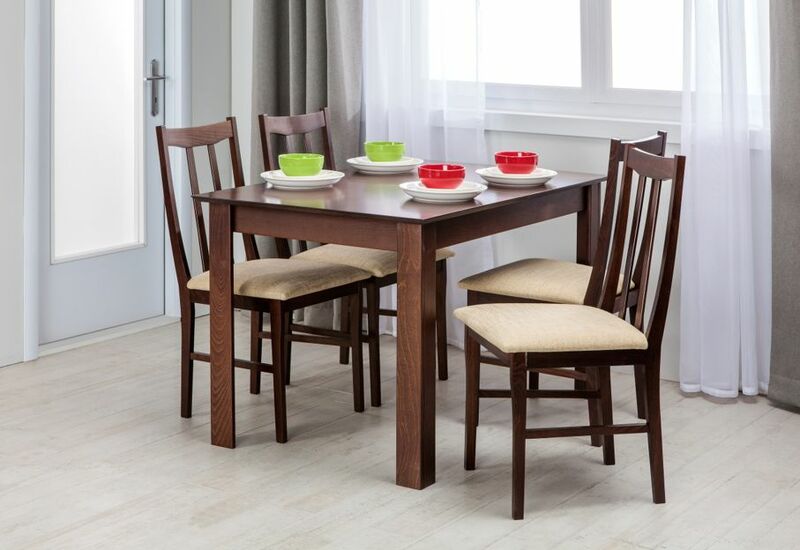 In a dining room, this could be the table or credenza. In the living room, it might be a bookcase or coffee table, and in a bedroom a dresser or bed. 5. 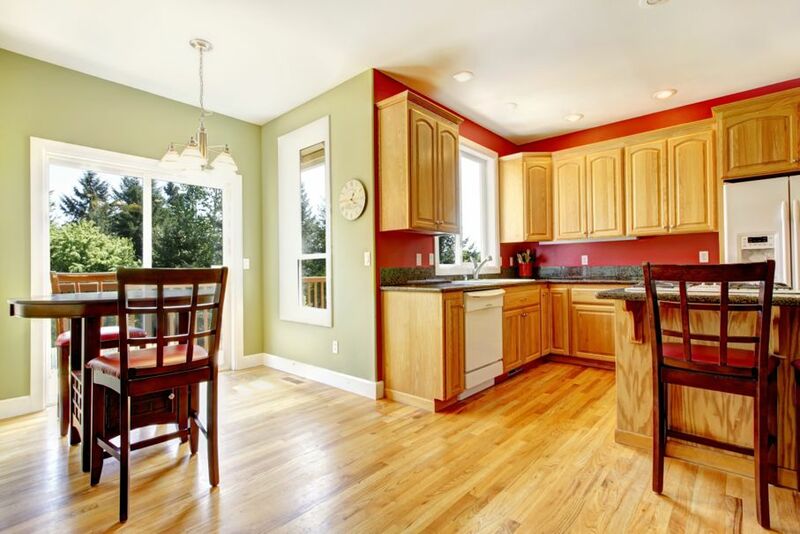 Avoid mixing more than three different wood tones in the same room. Otherwise the space risks looking chaotic, missing the mark on the flawless appearance you want to create. 6. If you’re not feeling confident about your mismatching abilities, start by mixing just two different tones, not including the flooring. Or find a core piece that has multiple wood tones, and use those colors as the palette for the room. 7. Be mindful of the amount each finish is used in the room. Each wood you select for the design should appear at least twice in the room for a cohesive look. At a dining table that seats six, a lone light-colored oak chair would seem out of place paired with five dark walnut chairs. Instead keep the wood colors at the ratios of 2:4 or 3:3. 8. 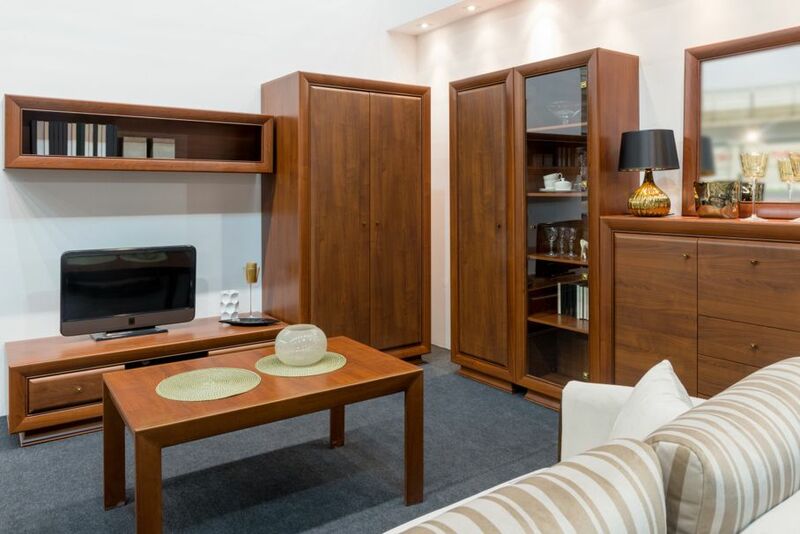 Have the largest pieces of furniture in the room be the same finish and add smaller furniture in accent colors. 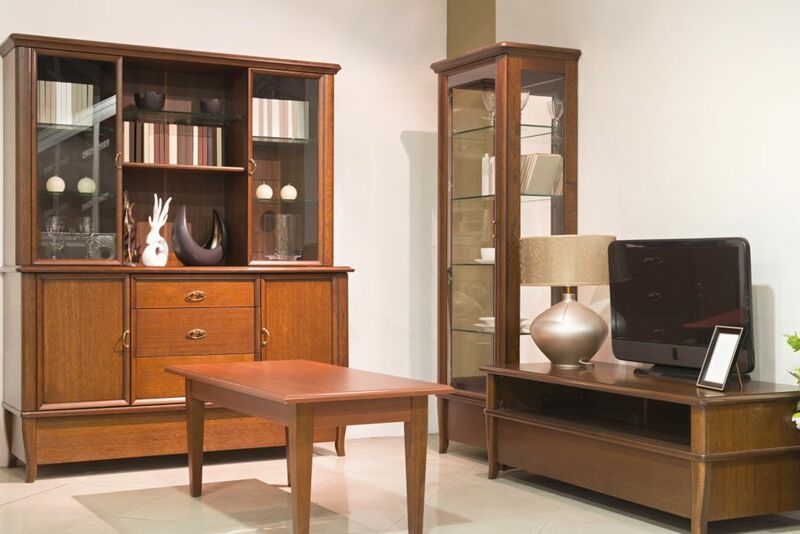 In a den, teak arm chairs and cherry end tables can accent the mahogany TV stand and bookcase. 9. 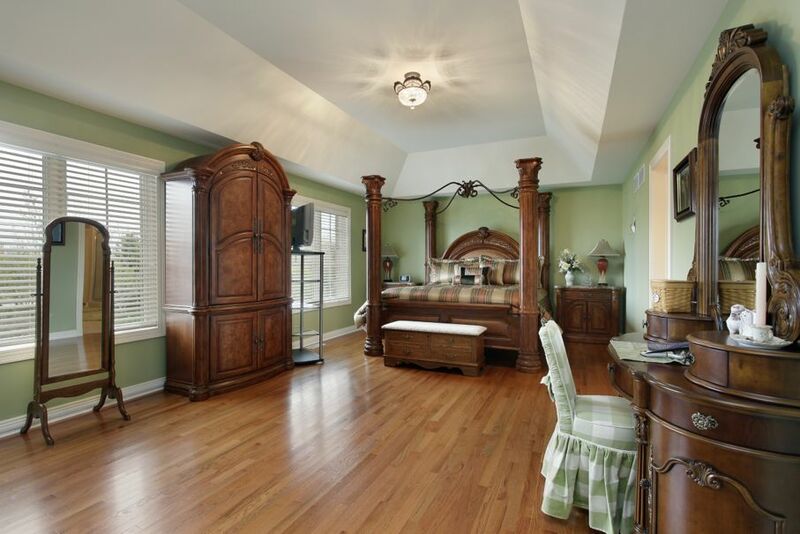 Try to evenly distribute the different woods throughout the room. The idea is to create symmetry. A maple dresser, nightstand, mirror, and bed don’t need to be positioned along the same wall of the bedroom. At the most, keep two items there and share the rest between the other walls of the room. 10. If you have furniture of different tones in an open floor plan, carefully coordinate the wood colors of the accessories in the spaces. In a living/dining space, if the dominant wood of the dining furniture is chestnut, use chestnut accents in the living room. 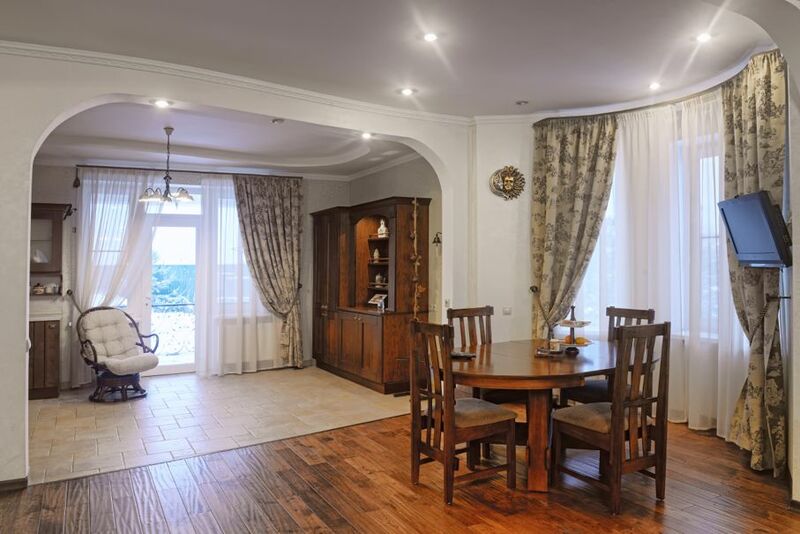 Similarly, if the dominant wood in the living room is oak, use oak accents in the dining room. This way the two spaces can be integrated. So get creative – mix it up in your home design. These guidelines let you “go for it” and still stay within the realm of aesthetics. If you need a little courage for your new design plans, House Tipster can give you plenty with its 3D Virtual Rooms, where designs come together in an online format. Try it out and then get decorating!